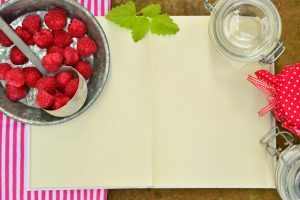 If you’re a hiker, camper, or any type of outdoor enthusiast, you know that packing enough food for an extended excursion can be a challenge. 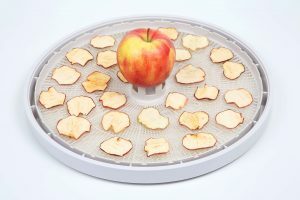 You may want to give dehydrating food a try. The process of removing water and moisture from food isn’t just limited to fruit and meat jerky and it also makes food easier to transport and in some cases, lighter as well. 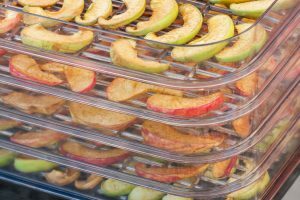 Dehydrating food is also surprisingly versatile, which is one of the reasons why it’s grown in popularity in recent years. Here’s how to make some of the best dehydrated backpacking meals and snacks for your next outdoor adventure. What could be better than enjoying some warm and spicy chili on a mountaintop or next to a crystal clear lake? The key to making dehydrated chili is to use a lean ground beef, as greasy foods do not dehydrate well. You’ll want to make your favorite chili recipe and drain the beef well after cooking it. 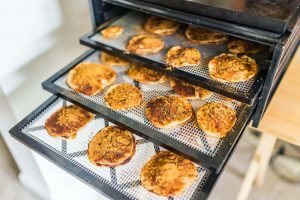 After it has cooled thoroughly, coat your dehydrator machine’s trays with parchment paper and spread the chili mixture on them. 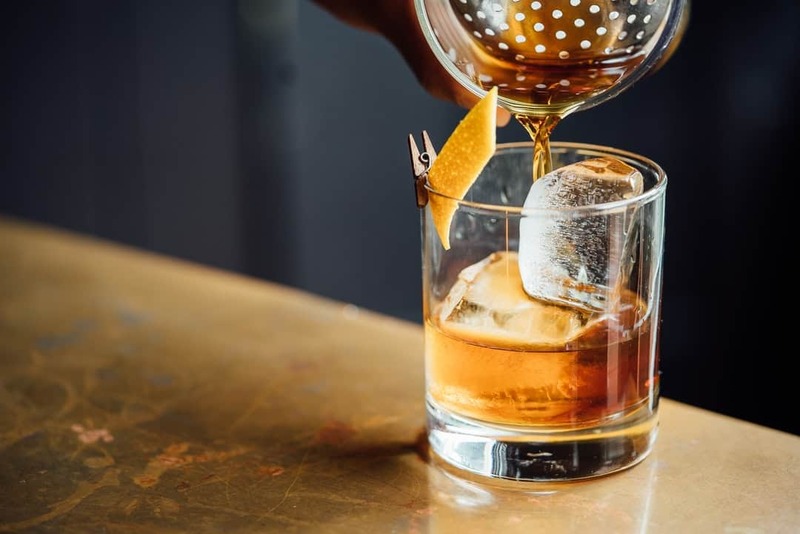 Dehydrate for eight to ten hours at a temperature of 145 degrees Fahrenheit. The chili will turn brittle. Store it in a freezer bag and when you’re ready to eat, put the mixture in a pot along with a cup of water and boil for five minutes. After removing it from the heat let it sit for another five minutes until it becomes its original consistency again. 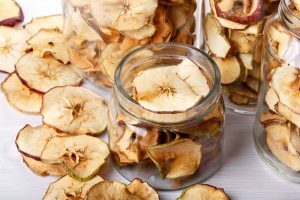 Any kind of lean meat and flaky fish such as salmon or cod make great jerky, and it’s easy to dehydrate meat in a few simple steps. 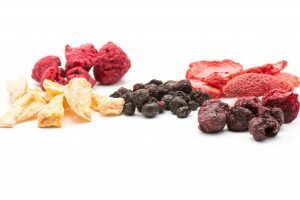 When you’re on the trail and need a low-calorie protein hit, jerky does the trick and can also supplement your other foods such as dehydrated fruit and vegetables. 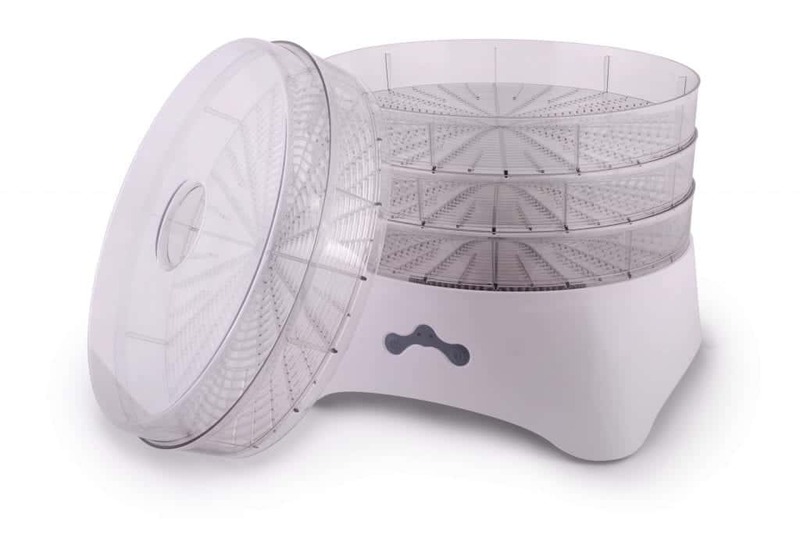 You don’t have to precook the meat since the dehydrator will do that for you. To make jerky, cut the meat into strips and marinate in your favorite marinade recipe for six to eight hours. Place the meat on the dehydrator trays and heat on the highest setting (usually 145 degrees Fahrenheit) for about four hours. Jerky should have a slightly bendable consistency to it. Store it in a container or bag. Yes, you can enjoy savory beef stroganoff within minutes at your campsite by preparing and dehydrating the ingredients at home first. First, cook your favorite noodles then drain and dehydrate at 115 degrees for at least eight hours. Cook, drain and dehydrate ground beef. 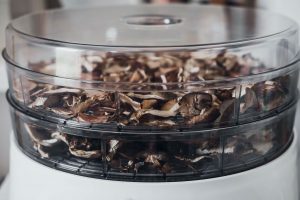 Then dehydrate your favorite mushroom varieties and any vegetables such as red bell pepper and onions. Place these ingredients in a bag along with tomato powder, powdered milk, dried parsley, garlic powder, and a little bit of cornstarch. When you’re ready to eat it place all ingredients in a pan with a cup of water and bring to a boil. Remove from the heat source, cover, and let it sit for ten minutes before enjoying your meal. 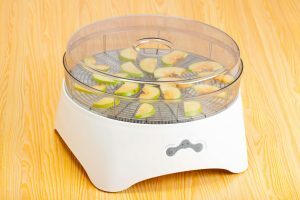 This one is easy; you just need to slice your favorite fruits and vegetables (and season them if desired) and refer to your dehydrator’s owner’s manual for the required temperature and time to dry them. anything other than avocados (which are fatty) should work. 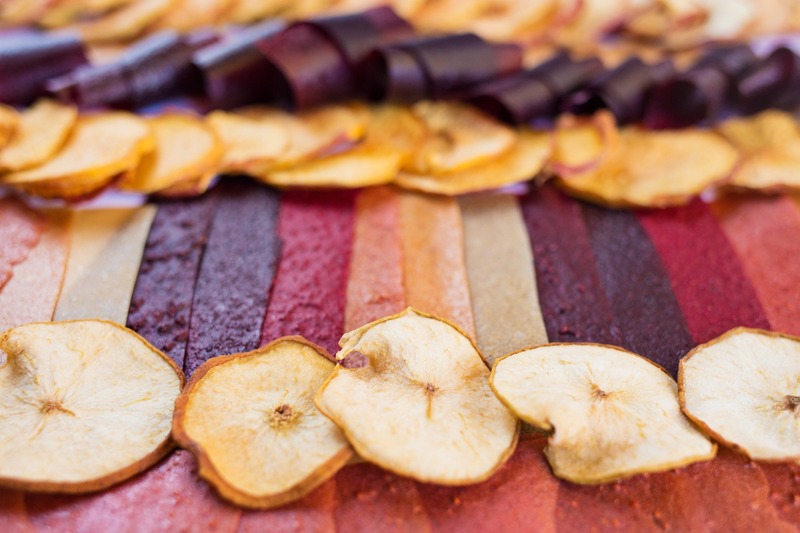 If you’re feeling adventurous, you can make fruit and vegetable leathers by pureeing them and spreading onto the trays of your dehydrator. Roll or break them up for a vitamin-packed on-to-go snack during your outdoor trip. 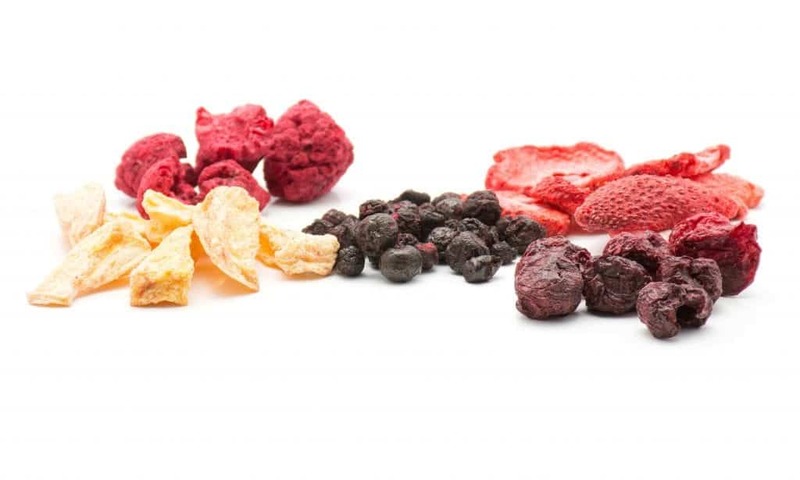 Which Best Dehydrated Backpacking Meals Will You Try? As you can see, there’s no limit as to what you can dehydrate and take with you on when hiking or camping. 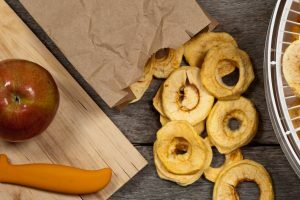 This list scratches the surface of the best dehydrated backpacking meals and we hope it has inspired you to reap the benefits of dehydrated food. Be sure to read up on our latest backpacking posts to make the most of your next trip!